By far our most popular item we have at sweetsforweddings are our sweet carts and sweet tables. Beautifully hand made by a professional carpenter in a true vintage style will really give your wedding or event the WOW factor. We will deliver our sweet cart to your venue, set it up and collect and you decorate it and provide the sweets. Colour co-ordinated material under the jars to match your colour scheme. 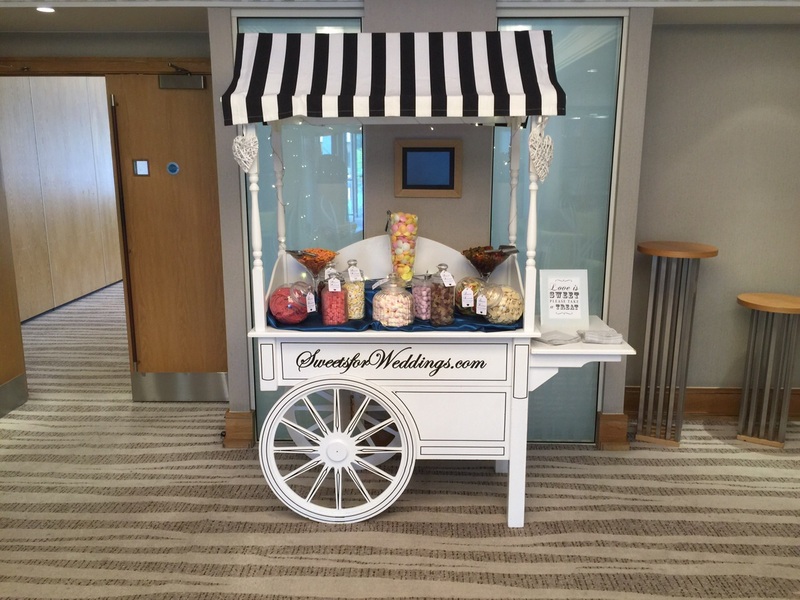 We will provide the same service as we do with our sweet carts just on a table supplied by the venue instead. 8 Jars for 100 guests only £150 !!! We give you complete choice of the sweets for your wedding, party or event. Check out your choices here. These packages have been designed to cater for the most popular trends in our enquiries but we are more than happy to create a package to any budget – just email us what you would like and we will get back to you with our best price!